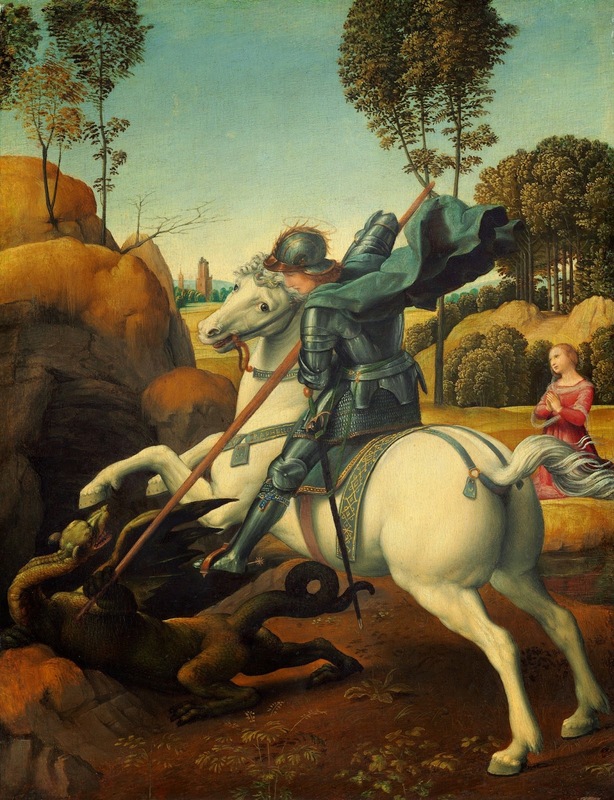 today it is the feast of Saint George or Saint George's Day - and let us celebrate with some illustrious paintings from the XIV through XVI centuries, when chivalry was beautifully depicted by period artists. 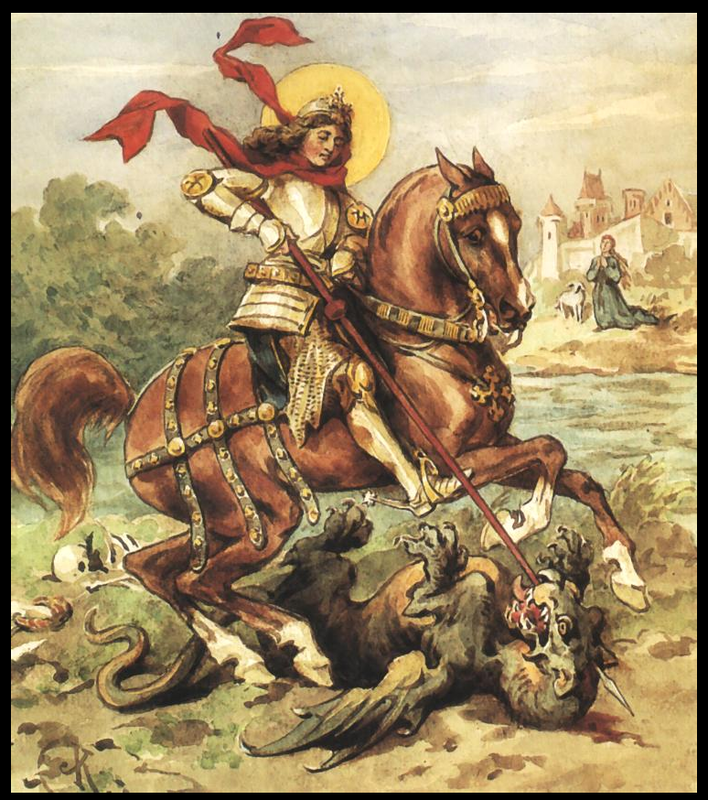 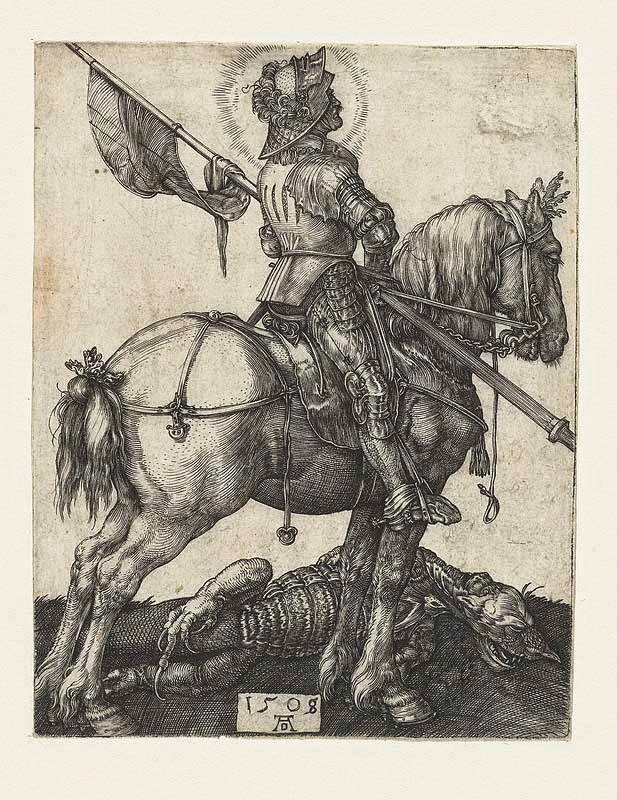 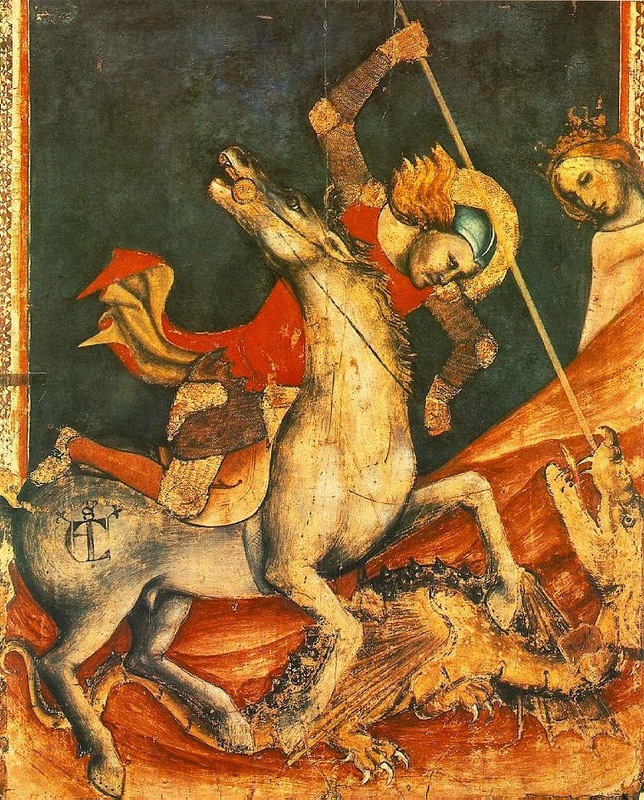 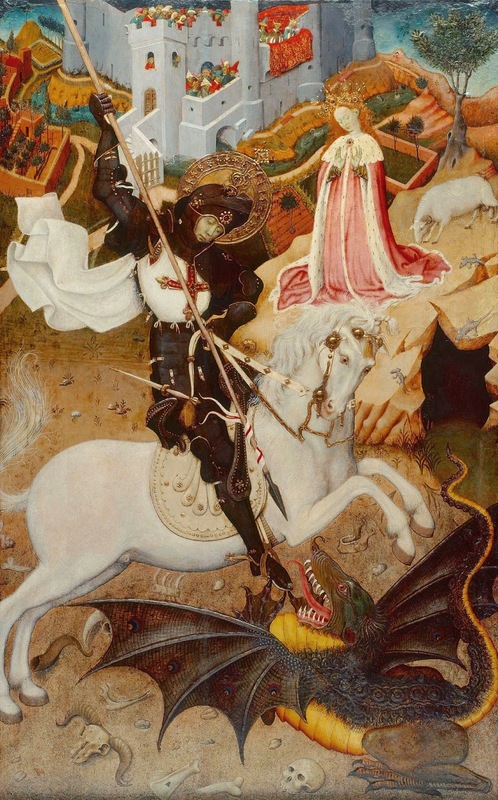 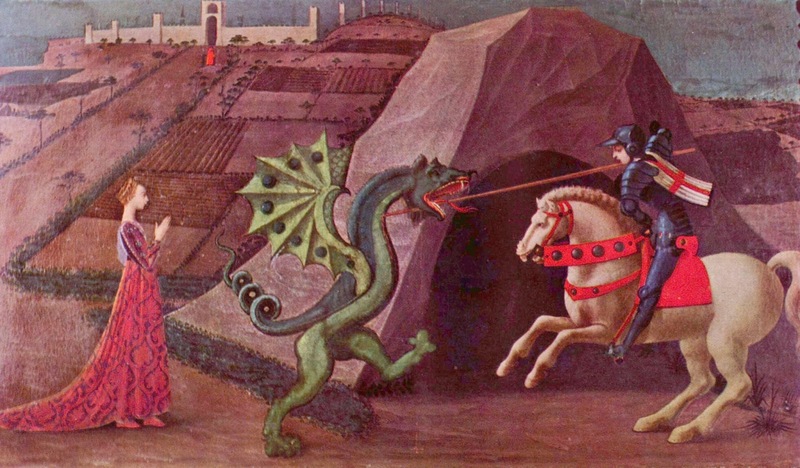 These images, apart from their message and attachment to the story of Saint George and the dragon, offer us a glimpse into the world of the Medieval knight and his steed. 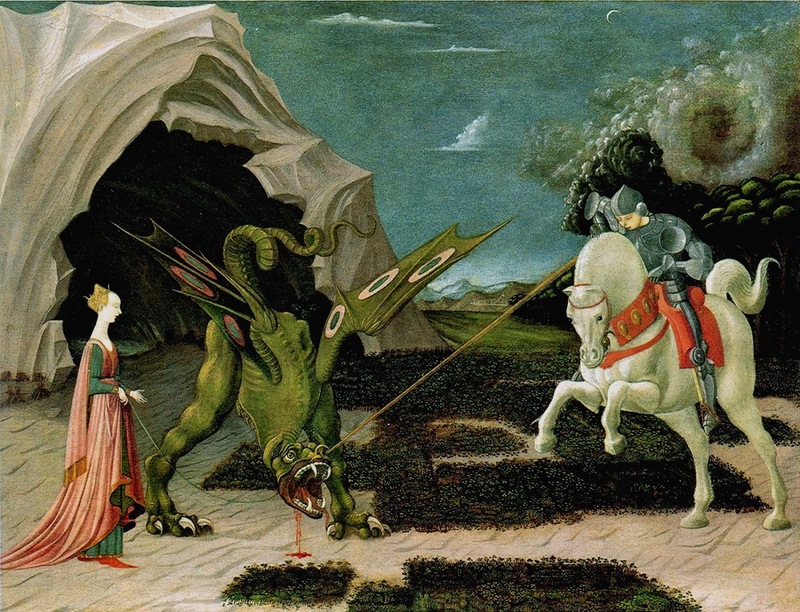 Each painting offers something akin to a gold mine, for us to study and ponder. 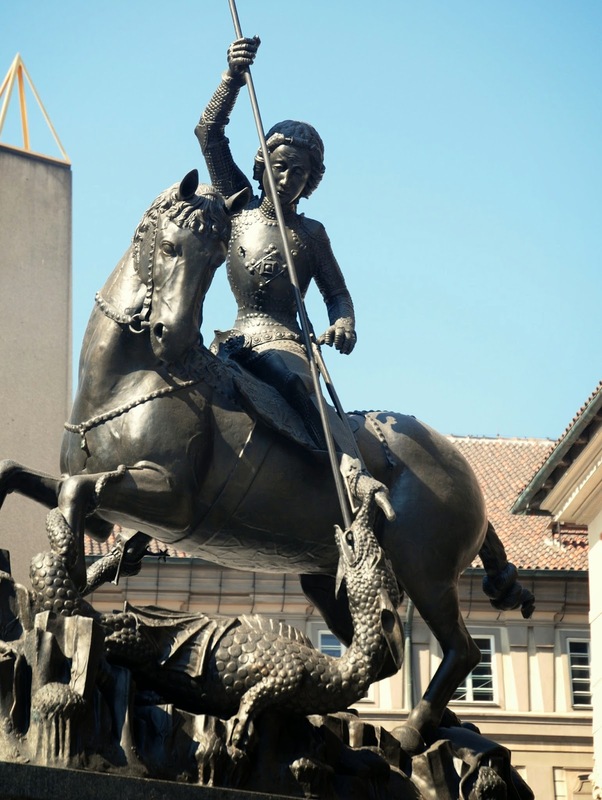 By the way , the XV century monument to Saint George from Prague Castle, standing in front of the Saint Vitus Cathedral.